The question seems simple: "What is domestic abuse?" The answer, however, varies from state to state. It's generally understood that acts of battery or assault committed against another member of your family or household are considered domestic abuse. Will I be arrested if someone claims I committed domestic abuse? If I was not immediately arrested for domestic abuse am I safe from arrest? What are the penalties for domestic abuse? How can I defend against charges of domestic abuse? False allegations of domestic abuse can be devastating personally and professionally. If you've been charged with domestic battery or other offense, consult a skilled criminal defense attorney right away. Who are the Victims of Domestic Battery in Wisconsin? >> If you have been the victim of domestic abuse, please seek help immediately from a resource such as The National Domestic Violence Hotline. To fully-understand the definition of domestic abuse in the state of Wisconsin, it is important to start with a firm understanding of the relationship between the alleged perpetrator and victim. It is this relationship which separates acts of domestic battery from other acts of assault and battery. (a) "'Domestic abuse' means any of the following engaged in by an adult person against his or her spouse or former spouse, against an adult with whom the person resides or formerly resided or against an adult with whom the person has a child in common:"
In other words, for suspicion of domestic abuse to exist, the victim is not required to be your wife or husband; it could be a girlfriend, boyfriend or fiancée, as well as a person with whom you share a child. If you have been charged with domestic abuse in Wisconsin and have not contacted a knowledgeable criminal defense attorney, you should consider doing so immediately. Read the article, "Appealing a Conviction After Pleading Guilty to Domestic Battery in Wisconsin: A Success Story" by Stangl Law to learn more about how to appeal a battery conviction. What is Considered Domestic Violence in Wisconsin? There is always the possibility you may face additional charges, depending on the specific circumstances of your case. Other factors, such as the use of a weapon, a restraining order, prior convictions and more can impact your case. If you want to gain a better understanding of the charges you may be up against, it would be in your best interest to contact a capable criminal defense attorney right away. Read the article, "The Guide to Battery Charges and Penalties in Wisconsin" by Stangl Law to learn more about this criminal offense. Will I Be Arrested for Domestic Battery? If you are arrested on suspicion of domestic abuse, you will not be released until you see a judge or post bail. For the benefit of your defense, contact an experienced criminal defense attorney as soon as you are able. The police are also required to arrest you if you are in violation of a restraining order. Read the article, "What to Do if You're Arrested for Battery in Wisconsin" by Stangl Law for important information. If I Was Not Arrested for Domestic Abuse, Am I in the Clear? If a police officer came to your home to investigate domestic abuse and left without arresting you, it is possible you may not be out of the woods just yet. Even if there is no arrest made, the investigating officer is still required to write a report if he or she found reasonable grounds indicating domestic abuse had been committed. The officer then submits the report to the district attorney in the same county where the investigation took place. After reviewing this report, the district attorney will make the determination whether or not to charge you with a criminal offense. So, an arrest would still be possible. If you suspect you may be arrested for battery of any kind in Wisconsin, read the article "What To Do If You're Arrested for Battery in Wisconsin" for important information you may find relevant to your situation. Read the article, "How to Handle a Sexual Assault Charge in Wisconsin" by Stangl Law to learn what to do if you suspect you might be charged with sexual offense. What are the Requirements of a No Contact Order? If you are arrested for domestic abuse in the state of Wisconsin, you will not be allowed to have any contact with the alleged victim or go near the alleged victim's home (permanent or temporary) for a period of 72 hours after your arrest. If you share a home, you are still not allowed to return there for the 72 hour period. Ignoring this requirement is considered a crime in and of itself, and you risk additional charges if you violate it. The only time a no contact requirement does not apply, is if the victim signs a written waiver. If you are not sure if the victim signed such a waiver, or have questions of any kind, do not contact the person as you risk an additional criminal charge by doing so. The potential penalties for violating the no contact order include a fine of up to $10,000 and up to 9 months in jail. Instead of risking these strict penalties just to get information, consult with your attorney if you remain unsure whether or not a no contact order is in place. In addition to the automatic no contact order, it is also possible the alleged victim in this case may file for a temporary restraining order. What is a Temporary Restraining Order? In Wisconsin, any person who is considered to be a victim of domestic abuse has the right to file for a restraining order against his or her abuser. In cases of domestic battery, the courts allow the victim or petitioner to apply for a temporary restraining order as an "ex parte" order, meaning you will not receive any advanced notice and do not need to appear in court initially for it to take effect. A temporary restraining order in this type of situation is usually only in effect until a hearing can be scheduled, which is typically within about 14 days. During this time you can expect to receive a copy of the petition and the temporary restraining order. If you are found to be in violation of either a temporary restraining order or a final injunction at any time, the possible penalties you would face include up to 9 months in jail and a fine up to $1,000. Once a temporary restraining order has been issued, the next step in this process will be a hearing scheduled by the court. This hearing will determine if the court determines there are grounds to issue a more permanent restraining order, or final injunction. If issued, this final order could be in effect for up to four (4) years and, in some situations, up to ten (10) years. It is in your best interest to secure legal representation from an accomplished criminal defense attorney in order to better your chances of fighting claims of domestic abuse in court. To learn about the types of restraining orders, how to file a restraining order, the penalties of violating a restraining order and more, read the article, "Violating a Restraining Order in Wisconsin" for more information. What Are the Penalties for Domestic Abuse in Wisconsin? Just as different states recognize different definitions of domestic violence, the associated punishments for these offenses also vary by state. 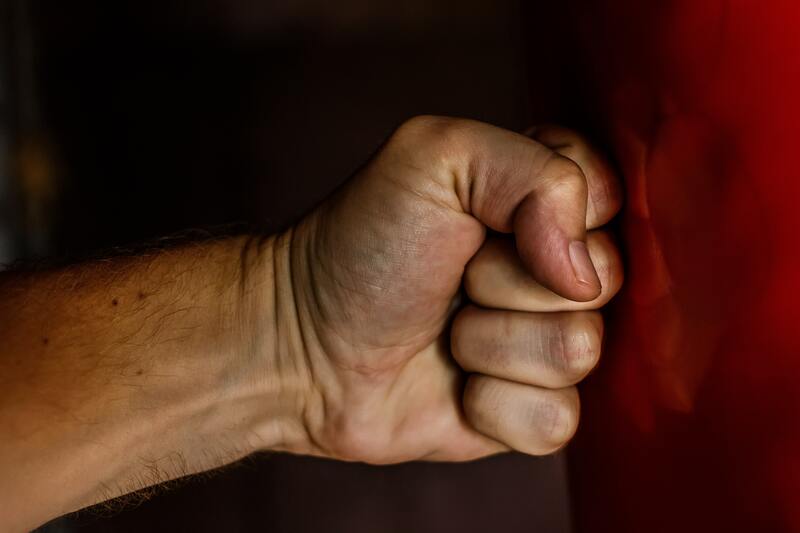 While there are states with stricter penalties for domestic abuse, the state of Wisconsin takes this criminal offense very seriously—especially if you have prior convictions. In addition to the above-mentioned penalties for violating no contact orders, violating temporary restraining orders and violating final injunctions, you will also face criminal charges associated with the specific act(s) of domestic battery in your case (see "The Guide to Battery Charges and Penalties in Wisconsin"). In an additional to all of those penalties, the state of Wisconsin will also charge you with a Domestic Violence Fee of $100. Many other factors can cause the prosecution to tack on still more additional charges against you, depending on the specific details of your case and including any prior convictions, increasing the potential penalties you may be facing. It is always best to discuss the specifics of your particular case in detail with your attorney to gain a better idea of the potential penalties you may be facing, as well as your defense strategy. If you do not have an attorney, contact a skillful criminal defense attorney who practices law in the same state in which you were charged. How Can I Fight Charges of Domestic Battery in Wisconsin? Do not lose hope if you have been falsely charged with domestic abuse or are facing charges of domestic battery. There are many factors which can be brought to the court's attention in pleading your defense. Depending on your unique situation, it may be possible to convince the prosecution to put off, or defer, prosecution for a set period of time. During this period of deferred prosecution, you will be required to meet certain conditions and file monthly reports attesting to your compliance of these conditions. After the duration of the deferred prosecution you are found to have been in compliance, the charges against you may be dismissed. If you have been charged with domestic abuse, but have not yet contacted an experienced criminal defense attorney, you are strongly encouraged to do so right away. If you've been charged with domestic battery, substantial domestic battery or aggravated domestic battery in Wisconsin, or suspect you will be charged with domestic abuse, the first step you should to take is to contact a proven criminal defense attorney to help with your defense. Madison Criminal Defense Attorney Patrick J. Stangl, is committed to exploring options for your best defense and has been defending clients across the state since 1991. To this end, he is pleased to offer at no-obligation a FREE 15-minute consultation to discuss the specifics of your case and take the first step in putting this stressful time behind you.